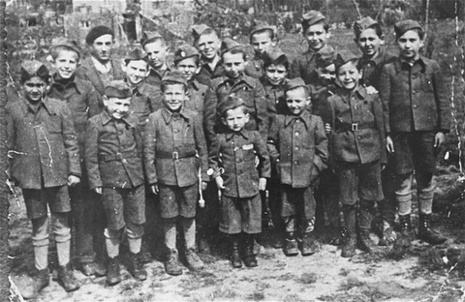 This article deals with the occupation of Poland by Germany and the Soviet Union during the Second World War (1939–1945). In the beginning of the war (September, 1939) the territory of Poland was divided between the Nazi Germany and the Soviet Union (USSR). In summer-autumn 1941 the territories annexed by the Soviets were overrun by Nazi Germany in the course of the initially successful German attack on the USSR. After several years of fighting, the Red Army was able to repel the invaders and drive the Nazi forces out of the USSR and the rest of Eastern Europe. Both powers were hostile to the Polish culture and the Polish people, aiming at their destruction. Before Operation Barbarossa, Nazi Germany and the Soviet Union coordinated their Poland-related policies, most visibly in the four Gestapo-NKVD Conferences, where the occupants discussed plans for dealing with the Polish resistance movement and future destruction of Poland. Over 6 million Polish citizens — nearly 21.4 percent of Poland's population — died between 1939 and 1945. 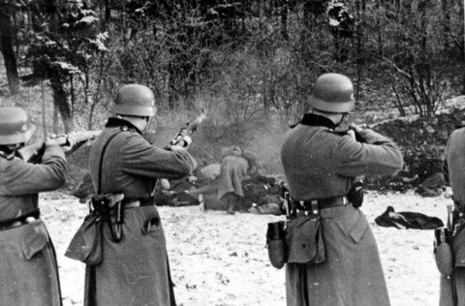 Over 90 percent of the death toll came through non-military losses, as most of the civilians were targeted by various deliberate actions by Germans and Soviets.